* feeling very strong already. will be 495 later if i get another 5hr nap later. * bw down 206lb and did not feel as strong as other days. got good sleep but tire fast on the 405s. stopped at rep 4. will eat better and be heavier tmrw afternoon. * smith machine was busy. no time to wait, have work. skipped the tricep benching. 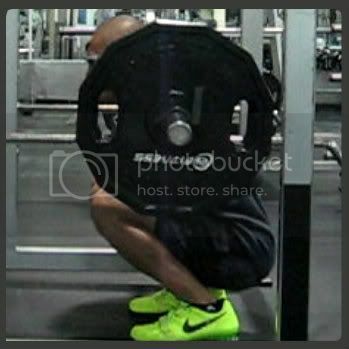 very good squats for this week. time to deload again and power thru the work nights. * trying something different on the tricep benching. will move up to 295 x2s tmrw. * last week, i worked 4 days and did the saturday 7pm-8am 4th day. felt already strong on the sun afternoon and got the 495 monday afternoon. this week, i did not have a saturday night and should have been strong already on the sunday afternoon but it did not go like last week. im strong this morning and should get the 495 later. had to wait for 2 sleep cycle recovery this week. * gym was packed and i had to use the power rack and walk a mile backwards to get the rep. bad idea on the 495lb. the walk felt like it took some energy out of me. got the paused rep but it was heavier than usual. will use the cage from now on when i go over 455lb. * want to be stronger in the afternoon so held the backoff to doubles. * 495 was very heavy this afternoon. might just be because of that 5-6 steps i took yesterday with the 495. if i feel no so good on the afternoon tmrw, il hold off on the heavy and give myself more time to recover better. * got very tired from the 4 day work nights. i slept 7hr on sunday day and another 8hr sunday night. il sleep again later after this heavy breakfast for another 5-6hr. il probably get strong tmrw afternoon. * got my sleeps but was sleeping for very long periods i wake up at low bw. 205 is not going to cut it. need to eat more. * bw back to heavy. slept well.